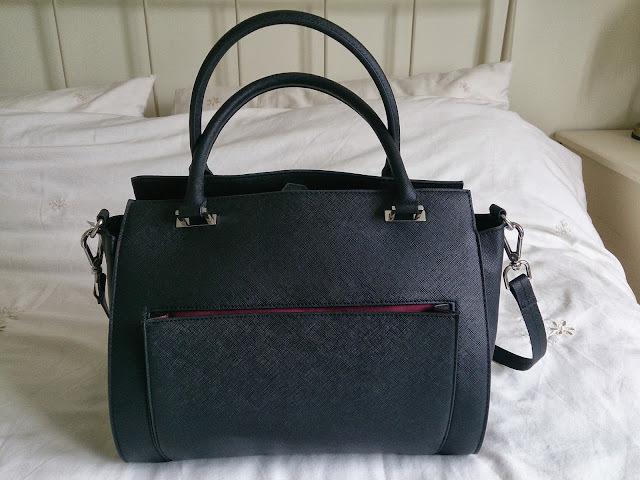 Say hello to my gorgeous new bag! I’ve been wanting a new bag for months and months but until recently had failed to find ‘the perfect bag’ in my eyes. Every bag previously seen has been to big and bulky for my liking, what’s with this oversized bag craze? I’m using it to going shopping for the afternoon, not a whole week! So I stumbled across this beauty of a bag on the H&M website, where bags are affordable and well made, my previous bag was actually from H&M and was used everyday for about 2 years! 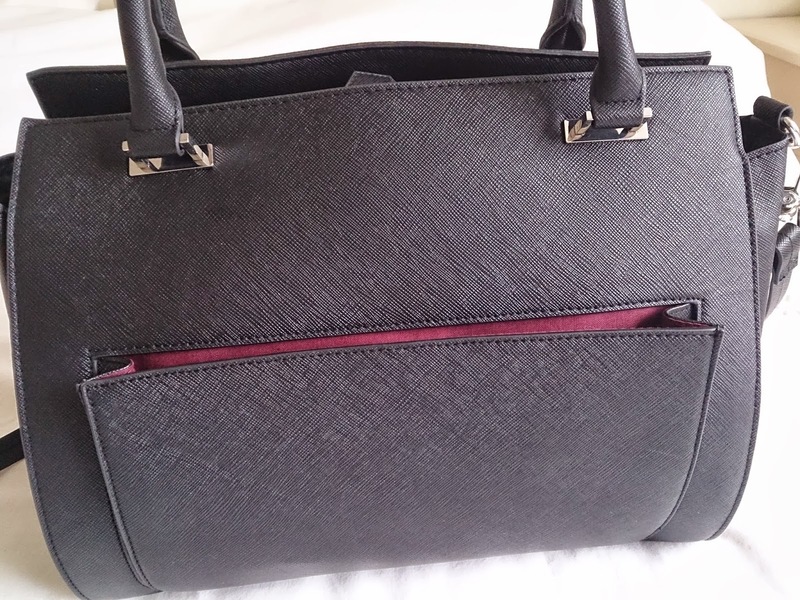 The bag is imitation leather, it has two short handles and a long detachable shoulder strap. 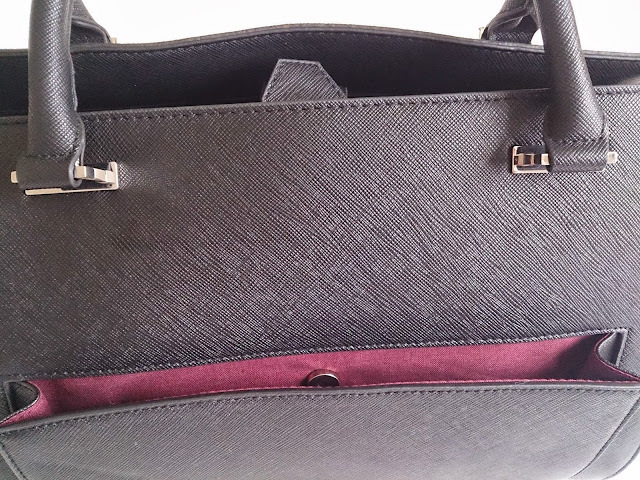 The front of the bag has a large pocket, the inside is a contrasting berry/purple colour and it has magnetic stud closure. 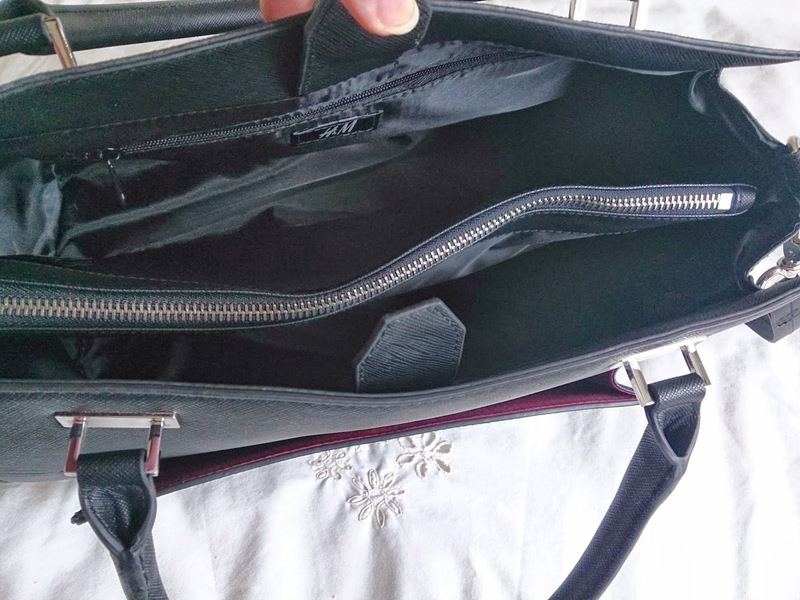 Opening the main section of the big it also has a magnetic stud closure, there are three main compartments, the middle one with a zip closure and there are also three pockets inside the bag, one with zip and two without (like most bags I find). I love the effect of the material used, the bag itself feels really sturdy and well made. 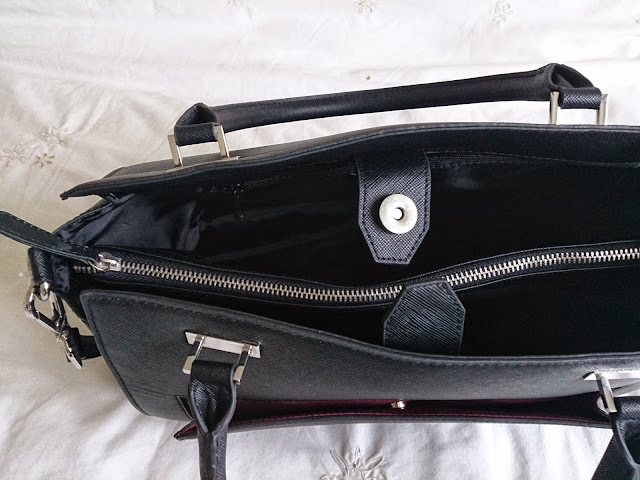 Having three compartments is really useful as I find that I always lose things in my bag and take forever to recover them again so this one I can neatly store everything knowing where they are. The middle zip up compartment will be perfect for when I have an iPad/tablet as it will be safe in the middle! This imitation leather bag is available online only at HM.com here. It’s priced at £29.99 which I think is a great price for such a well made and sturdy bag.  I was very lucky to have not one but two voucher codes to use so I paid just £17.49 for it! WHAT A STEAL! As you can see I do have a fair bit of junk in my bag now. 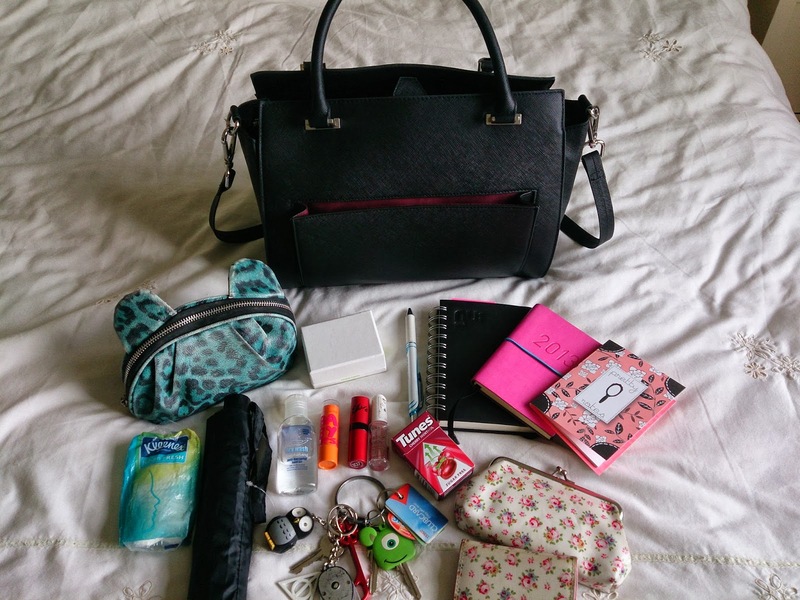 I’d love to see what’s in your handbag, why not have a go at this post and let me know when you’ve done it!